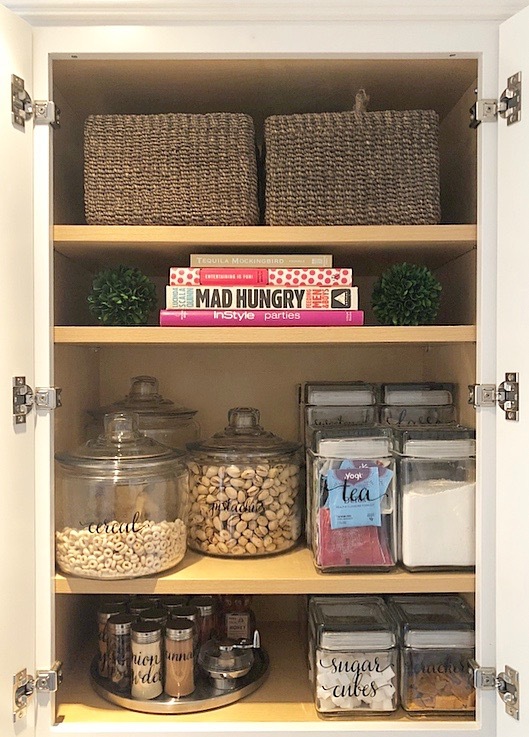 After much hemming and hawing, way too much time trying to find just the right canisters, and far too many hours pouring over The Home Edit’s blog and inspiration-filled Instagram, the kitchen cabinets and fridge are finally organized, labelled, stacked, staged, and functional. 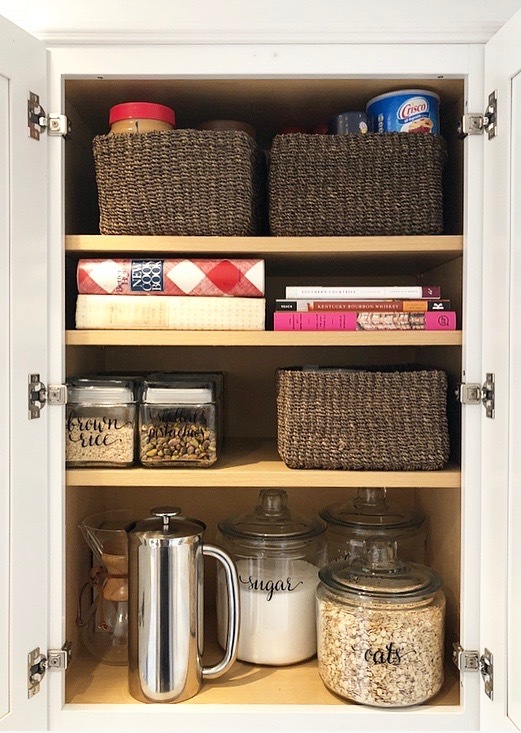 In the cabinets holding dishes, coffee cups and glasses, the sugar pot and plates are all within easy reach, while lesser-used pieces like smoothie cups, gravy boats, and serving platters are up top. 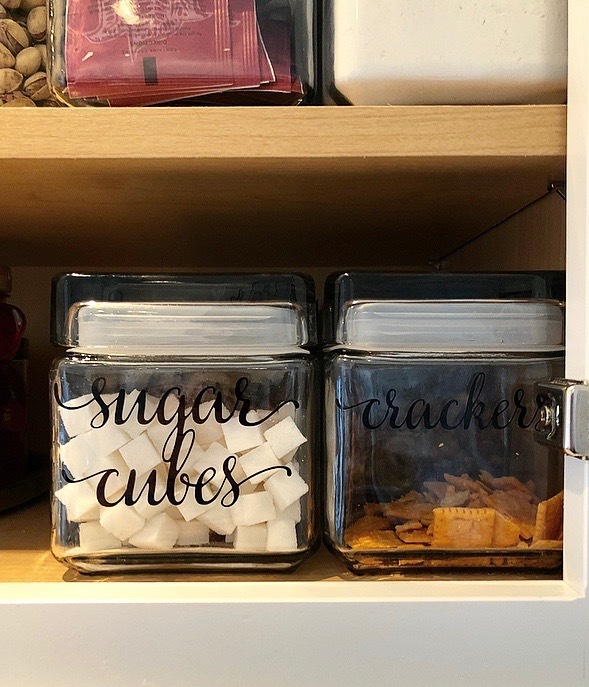 In the pantry shelves, food was packaged into glass containers (making the recycling of their boxes a quicker and easier to-do), and labelled according to what was within. Funky, non-storables like peanut butter, pouches of raw cocoa, and different honeys are housed in baskets above. 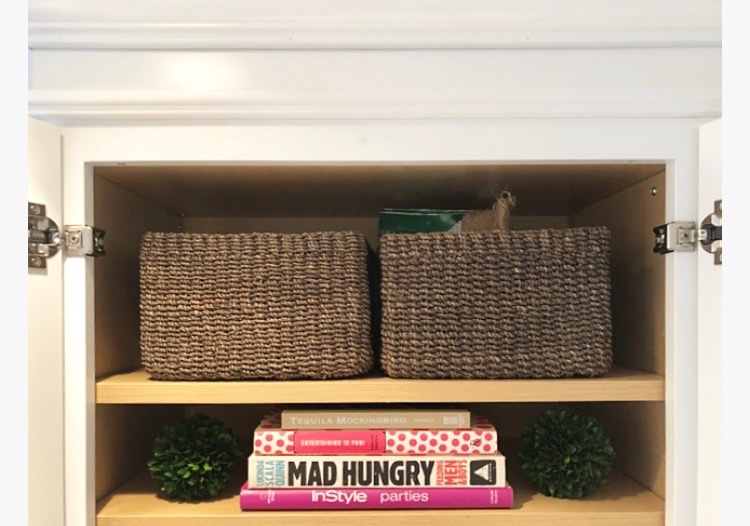 Cookbooks (finally dragged out of the basement) are tucked into the small spaces between shelves, making for a pretty surprise, as well as easy storage- No more rummaging through the books in the basement to find Tequila Mockingbird! Even the fridge got a major facelift. Fruits- a better snack than something sugary- are perched prettily on a pedestal for easy taking. Kale, a weekly staple, is kept fresh upright in a glass of water in the rear, while our drinks align up top. Bowls keep things like eggs, apples, Brussels sprouts and berries corralled. 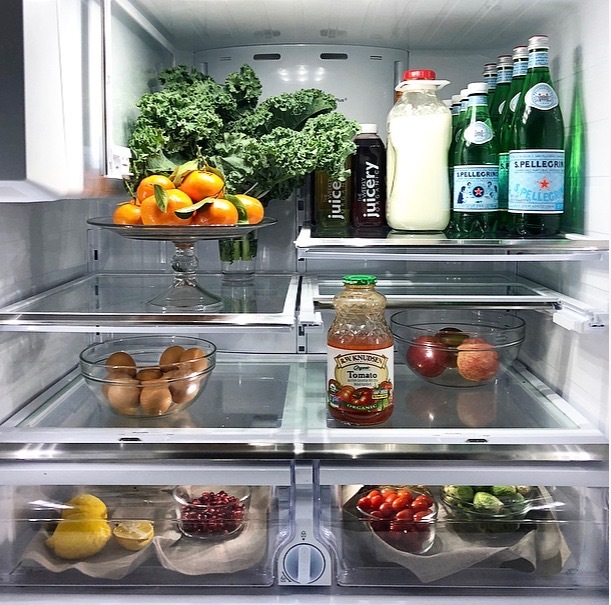 Does a better-organized kitchen lead to better eating? 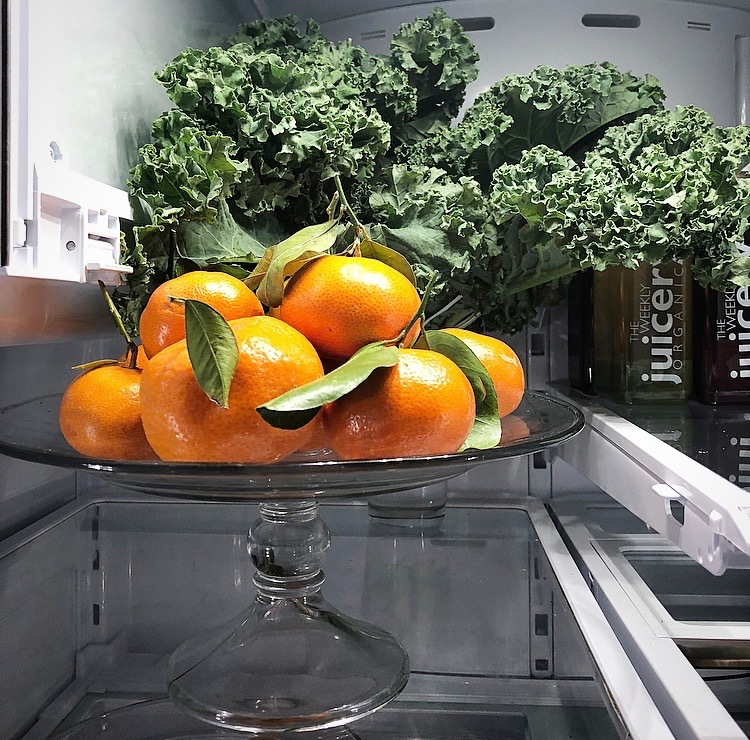 It’s yet to be seen in this house, but I will say that opening my fridge to grab a fresh juice each morning does make me happier, as does knowing where the cereal is without having to dig. 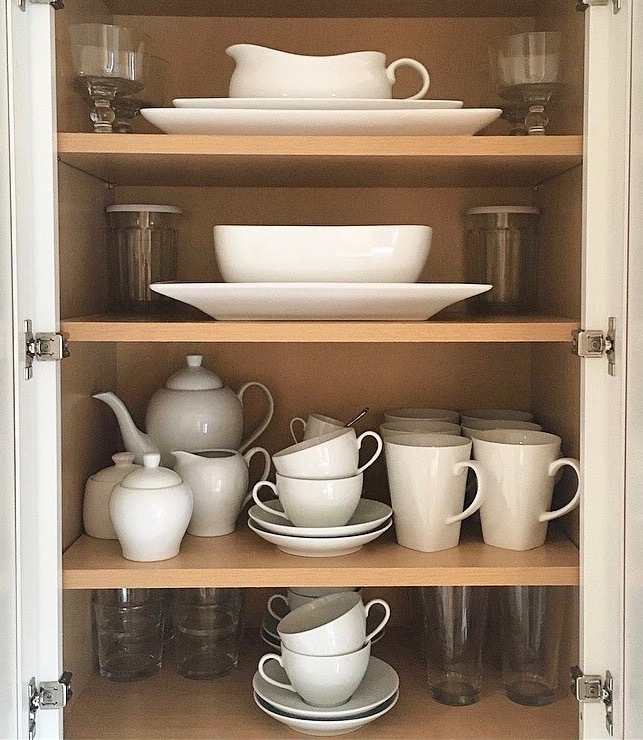 Now, friends, on to the closets!